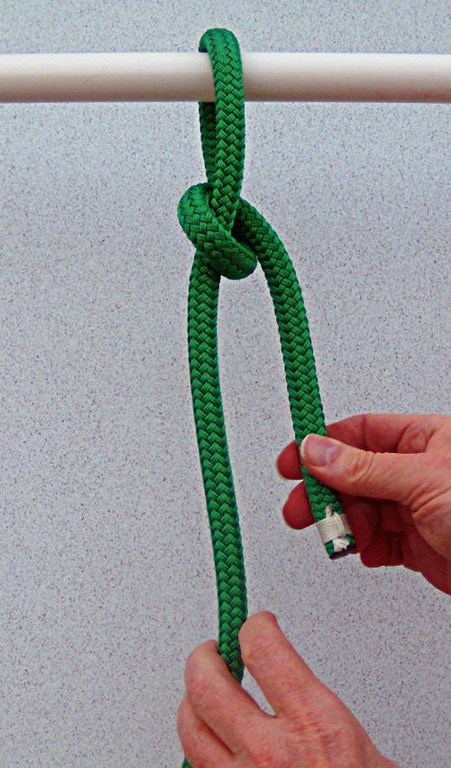 Tying a Bowline using the Spilled Hitch method is a quick and easy, but not a well know way to tie a Bowline. 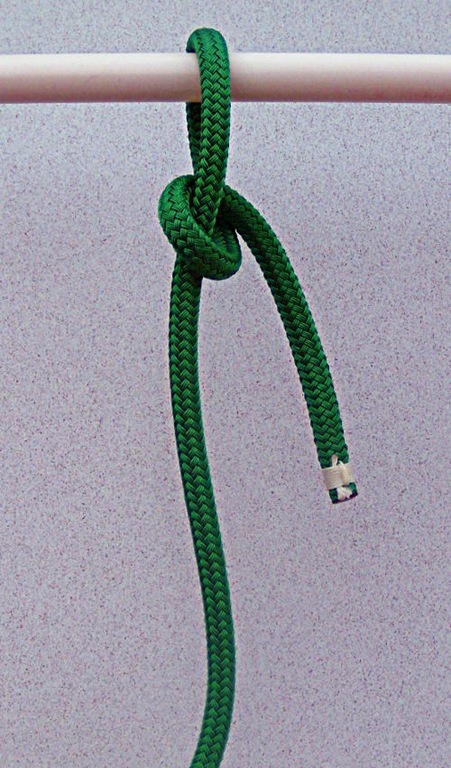 The Spilled Hitch Bowline can be used to quickly tie a Bowline around an object or through the clew of a Jib or Genoa for example. No need to remember all about the rabbit and the fox. The line does about half the work for you, sort of like magic. 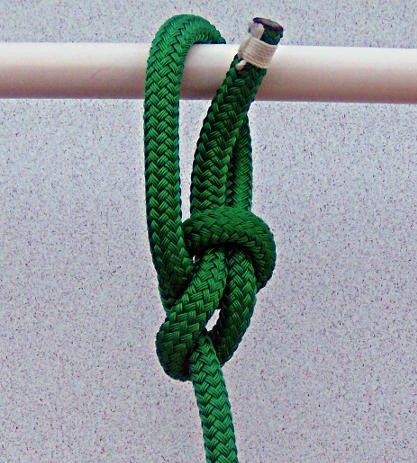 When tying a Spilled Hitch Bowline, the Bowline can be tied so quick that it literally looks like “magic” leaving anyone not familiar with tying a Spilled Hitch Bowline literally standing there with their mouth hanging open and wanting you to show them how you just tied the Bowline. Spilled Hitch Bowline, Step One. Start a by going around the object you want to tie the Bowline to (or through the cringle of a sail if you are tying a Jib or Genoa sheets). 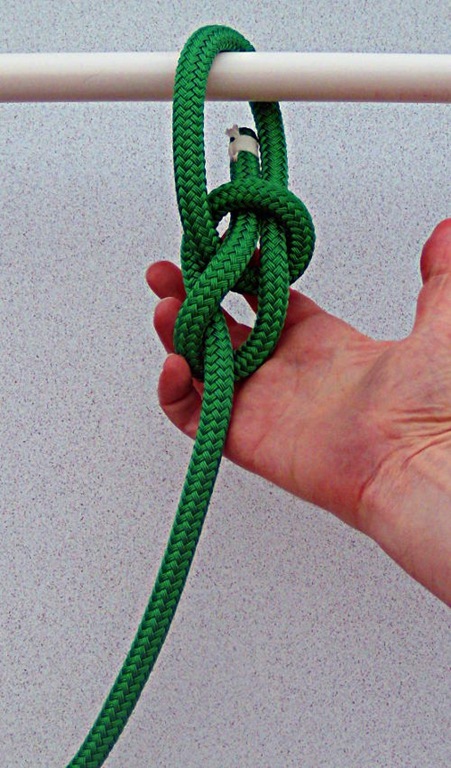 Loop a Half Hitch around the standing part of the line as shown, you can go either way but if you tie the Half Hitch the other way these instructions will be backwards. Pull down or toward you with the end of the line, the Half Hitch needs to be transferred or spilled to the standing side. Straightening the short section of line will transfer the Half Hitch to the standing side. The straightening the short section is called spilling the hitch. Sometimes a bit of help is needed with your fingers to straighten out the Half Hitch and transfer the Half Hitch over. Spilled Hitch Bowline, Step Three. The short section of the line has now been straightened out with the Half Hitch transferred to the standing section of the line. The rabbit is now going around the tree for those of you that use that memory method to tie the Bowline. Duck the short section around the back of the standing section of the line and back down the along the line coming up through the half hitch. Spilled Hitch Bowline, Step Four. The Spilled Hitch Bowline is ready to have the slack worked out of the knot. Gently pull the slack out of the Spilled Hitch Bowline. 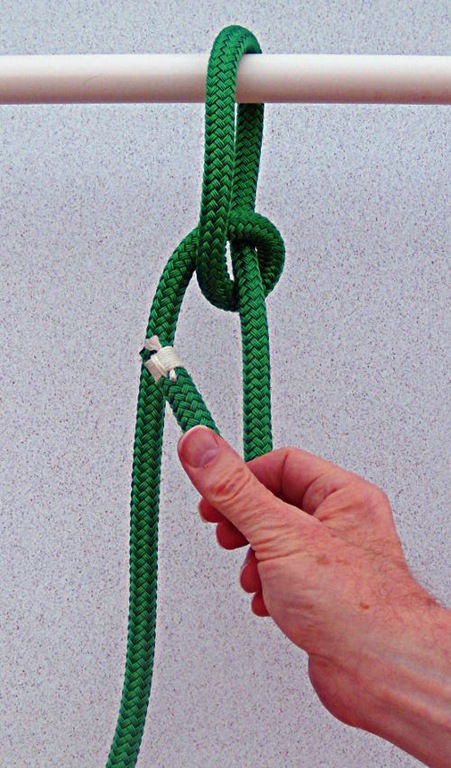 Adjust the size of the Bowline if needed by by pulling slack into or out of the loop of the Bowline. Finished Spilled Hitch Bowline tied around a piece of pipe, this could be a handrail on a boat, Bull Rail on a pier or float. Adjust the size of the loop as required or the amount of line on the standing side if using a Bowline to hold a fender to get the fender at the correct height. 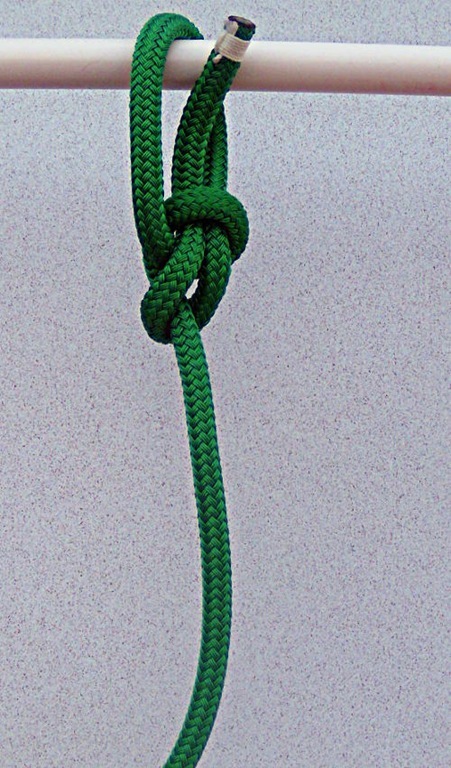 When tied quickly a Spilled Hitch Bowline looks like “Magic.” The advantage of using the Spilled Hitch method of tying a Bowline around an object is spilling the hitch does most of the work and sets up the Bowline to be finished quickly without needing to worry about whether you have thrown an overhand or underhand loop to start the Bowline. Thanks for your interest in and support of Boating Safety & Boating Skills. This entry was posted in Boating Safety, Sailing and Boating Skills and tagged knots, marlinespike seamanship, marlinespike skills. Bookmark the permalink.